Duck Dynasty is one of the most successful reality shows of all time. What is it about the wild and wooly Robertson family that drives viewers to watch the show like ducks to water? From the family’s humble upbringing and their home-based business selling wooden duck calls, to the show’s shockingly rapid rise to worldwide popularity and controversial press coverage, E! exposes the inner workings of this polarizing TV program. Featuring interviews with family relatives, entertainment insiders, as well as local media and shop owners, E! goes beyond the cameras for a closer look at the Robertson clan – and in the process, uncovers a true rags to riches tale. 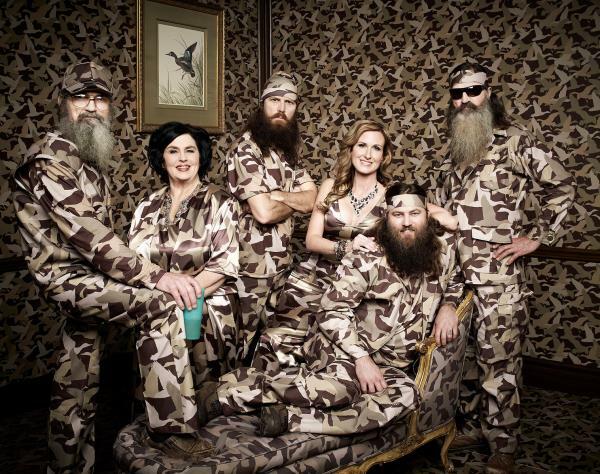 True Hollywood Story: Duck Dynasty premieres on September 18th at 21:00 only on E!